Advent is a season of preparation and expectation as we look forward to the Birth of Jesus and His eminent return. Advent Calendars and Advent Wreaths are wonderful tools for families to use as they prepare their hearts, homes, and lives for Jesus. Help your children keep the focus on Jesus as we count down to Christmas! 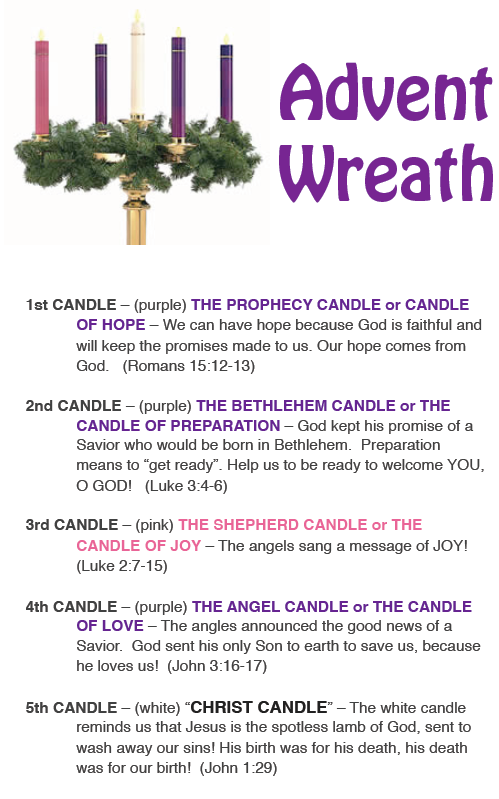 Web site with lots of Advent ideas from history to recipes to family activities. Its a few years old, so not all of the links work anymore – but it could help get the juices flowing for creative ideas. Web site from Microsoft Office that teaches you how to create your own Advent Calendar. Pictures and descriptions of Advent Calendars over the 150 year history. Families in Faith can come to your inbox as a Free email resource. We will send an email every week offering tips, suggestions, training, and encouragement to parents as they work to pass the faith on to their children.